If you want to know whether it’s possible to remortgage with bad credit, the answer is yes. Although it may not be as easy as remortgaging with clean credit, it’s still highly possible. Our expert mortgage advisors have secured remortgages for many clients with bad credit, even when they’ve been declined before by other brokers and high street lenders. As a result, bad credit applicants may get the cold shoulder and not receive the adequate advice they need. This often means a perfectly suitable applicant could be declined or told that they’re not eligible for a remortgage. A remortgage with bad credit is easier than getting a mortgage on a new property that you haven’t owned before. This is because lenders already have an asset in your existing property, which minimises their risk. 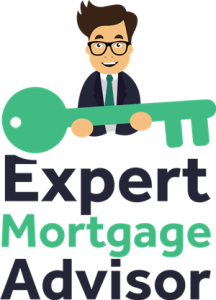 The good news is that our expert advisors specialise in mortgages with adverse credit. Not only this, but they have access to the whole market and aren’t tied to any specific lenders. It also means they have access to lenders who specialise in bad credit, for the really tricky applications! If it’s possible for you to remortgage, there’s no doubt our expert mortgage advisors will find you a lender. Does the type of credit issue affect a remortgage? We’re often asked if certain credit issues have more or less of an impact when applying to remortgage with bad credit. To keep things simple, severe credit issues will make you appear higher risk than if you had light bad credit issues. However, every situation is different and there isn’t one right answer for everyone. What we can say is that we’ve secured bad credit remortgages for many people, all with different credit issues. The issues vary from having little or no credit history, missed/late payments, defaults, CCJ’s, IVA’s, debt management schemes, mortgage arrears, use of payday loans, bankruptcy and even repossession. Even if you have multiple credit issues, it’s still possible to remortgage. Is a remortgage with bad credit advised? Remortgaging can have different types of benefits, but it all depends on your current financial situation and the reason for your remortgage. 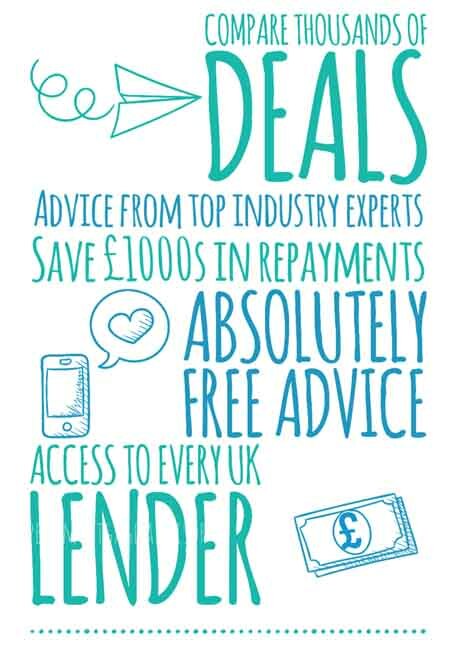 It’s always best to speak to a qualified advisor who deals with remortgages on a daily basis. If you’re looking to remortgage with bad credit for any of the above reasons (or similar), you can make an enquiry today. How can I remortgage with bad credit? As every situation is different, the route for each person may differ. A remortgage with bad credit can be pretty straightforward with other cases proving difficult. So what we’ve done is outlined a guide explaining how to get a remortgage with bad credit and what to do to get started. The first thing we’ll always recommend in any adverse credit issue is to check your credit report. The simple reason is that lenders will check your credit report also. By having a copy of it first, allows you to understand your own situation further which can provide a lot of guidance. In some instances, your credit file might be so bad that you may be advised to repair your file before applying for a remortgage. Having a copy of your credit file will allow you to see everything that has been registered. You may be surprised to find some credit issues aren’t even on there, although you may be asked to declare credit issues with some lenders. If you’ve had issues with your own bank, for example, problems with your overdraft, then your bank will usually log these issues for their own record, but won’t register issues such as these with credit agencies. This can result in your own bank giving you a lower credit score than another credit agency. On some occasions people won’t even consider a remortgage as they think their credit file will be an absolute mess, only to check it and realise it isn’t even that bad. Lenders generally use three main credit agencies to check your credit report. These are Call Credit, Equifax and Experian. You can also use sites such as Check My File that check multiple reports for you. Don’t worry, simply checking your report won’t leave any kind of footprint or affect your credit score. To get the best remortgage deal suited for yourself, a tactful approach is advised. A lot of people with bad credit go straight to their bank or another high street lender only to be declined or offered a mortgage at an extortionate rate. This is probably the worst thing you can do. High street lenders generally tend to deal with clean credit applicants and as a result, isn’t the best place to go if you have bad credit. A remortgage with bad credit is a specialist situation and usually handled best by specialist advisors. If you do decide to take your chances and end up getting declined, then this can further damage your credit report, not to mention a waste of time and money. We’d highly recommend speaking to an advisor to help you with the steps below. In order to establish your loan to value, you first need to establish the value of your property. You can always enlist the services of an estate agent to do this. Estate agents usually provide free market valuations which can give you an approximate value to work towards. Please note, when remortgaging, lenders will send their own surveyor to assess the value of your property. Once you have the property value, you can calculate the amount of equity you’ll have once you remortgage, which will provide you with your LTV. This is important because a low loan to value holds a lot less risk than a high loan to value. In terms of a bad credit remortgage, it’s a lot easier to get a low LTV with bad credit than it is to get a high LTV with bad credit. If you’re looking for an LTV of around 75% or less, then getting approval on a remortgage shouldn’t be that difficult, even with severe credit issues. Our expert advisors can also work this all out for you over the phone. Your affordability is based on your income. This is important as it will allow you to understand the financial limits to which your mortgage can go. A broker can assess your income to give you the exact amounts various lenders may offer. As a general rule of thumb, a maximum mortgage amount is usually around 4x your annual income, although some lenders may lend up to 5x. Again, as every lender is different, the way they assess income can vary. Some lenders only account for contracted hours, whereas other lenders will consider bonuses and overtime. The same goes for self-employed applicants, some lenders are better suited than others. Once you’ve established the above, you should have a lot more clarity regarding your remortgage. However, even having all that information doesn’t make it any easier to understand which lender to go to. Lenders rarely display the criteria they use to assess applications, however as advisors do this on a daily basis, we can spot the right lender quite easily. At this stage, brokers will usually research the market for you and then come back to you with some available products and rates with lenders likely to accept your application. This is truly the best way to ensure that you’re likely to be approved and likely to be getting the best possible product available for you. What if my credit isn’t good enough to remortgage? If you’ve been declined by another lender or broker, you may need a specialist mortgage advisor. If we can’t find you a mortgage due to recent and severe credit issues, we won’t just say no. We’ll help you to repair your credit report so that with time you’ll be eligible to remortgage. Read more: How to improve your credit score. Sometimes it’s just a matter of adjusting your LTV to minimise your risk in the eyes of a lender. As discussed earlier, obtaining an LTV of 75% is a lot easier than aiming for an LTV of 90%. Bad credit mortgage rates aren’t always the most competitive, so be prepared for slightly higher rates than normal.